After Hours Emergency Service Available! Call Now! 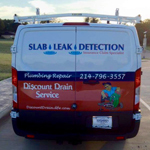 We are Discount Drain Service, servicing the Dallas/Ft.Worth metroplex for over 20 years! Licensed and Insured for your protection and peace of mind. 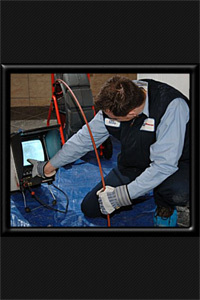 We offer state of the art drain-cleaning equipment and use the latest technology including camera inspection, line location, electric water leak detection and high-pressure water jetters. 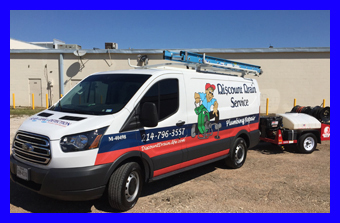 Discount Drain Service provides fast and reliable service for all your residential or commercial plumbing needs. Emergency service available! All work done right the first time – with warranty! We've unstopped THOUSANDS of drains! Discount Drain Service, (214) 796-3557, info@discountdraindfw.com | Copyright © 2019 Market Hardware, Inc.
Websites and SEO for Plumbing Professionals by Market Hardware, Inc.